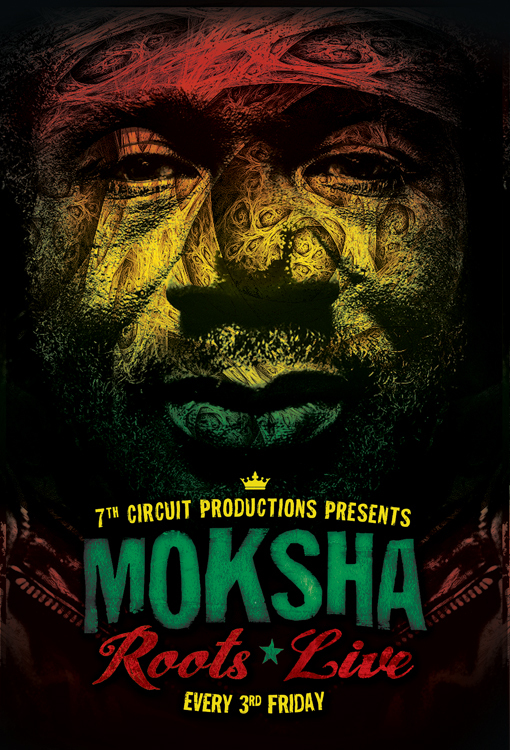 7th Circuit Productions and Moksha Family Arts Collective present Moksha Roots Live. The after party for The Rhythm Foundation’s ~ Big Nights in Little Haiti. In May we are celebrating Haitian cultural month. 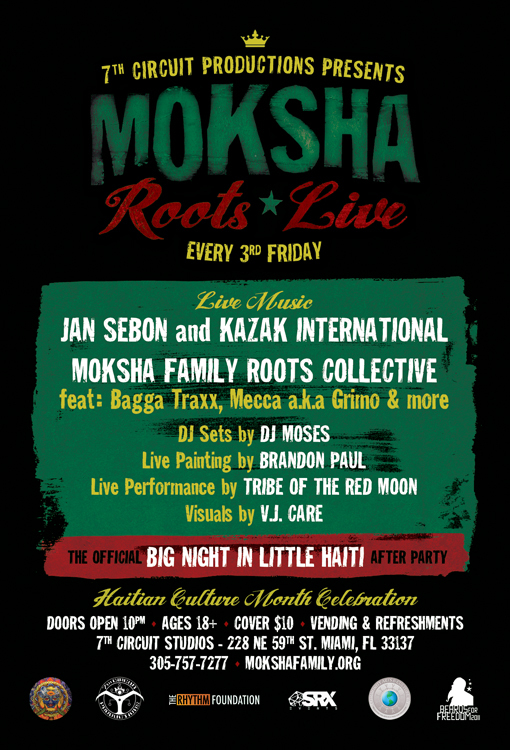 Every third Friday we will feature our gallery, live music, d.j.’s, performance, live painting, vendors. and community projects. Come out and enjoy this cultural evening of good vibes and amazing energy. The last two third Fridays were burnin! in the Miami New Times for three consecutive years. Peru and across the United States. This evening we are featuring Bagga Traxx with special guest Mecca a.k.a Grimo, plus more. luminaries as Baaba Maal, Thomas Mapfumo, Joseph Hill & Culture as well as many others. DJ Moses is one of a kind in our community. Originally from New York City, he has been living and working in Miami since 1995.
and surrealism, with heavy influence from street art, tattooing, skateboarding, and urban culture. with is a beautiful piece of controlled chaos wearing nikes . with the extreme hope of touching and captivating his audiences with joy and inspiration. create multi-sensory experiences that connect, inspire & engage.